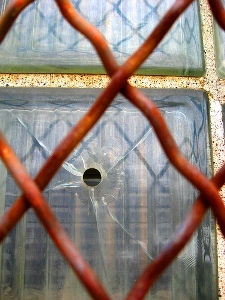 How far away does a person shooting a 9mm bullet have to be for them to break only the outside pane of a standard window. The inside pane was left unbroken. The window was on the third floor of a building.